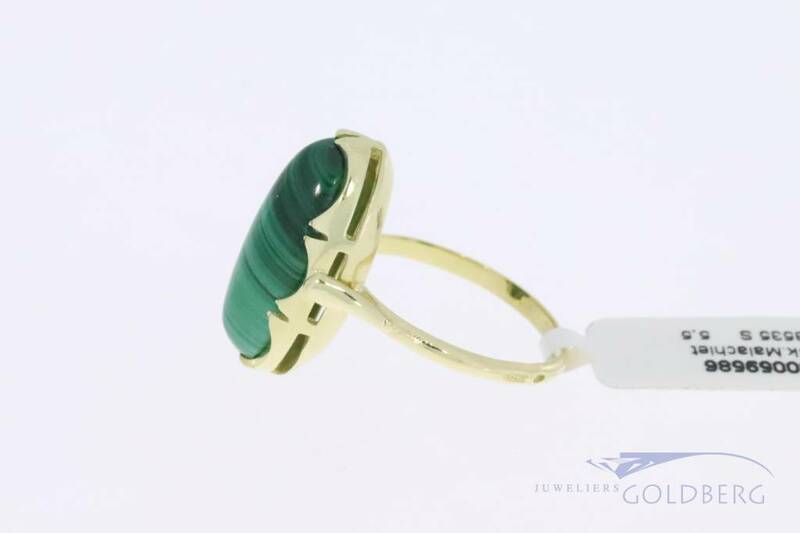 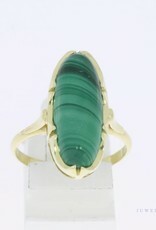 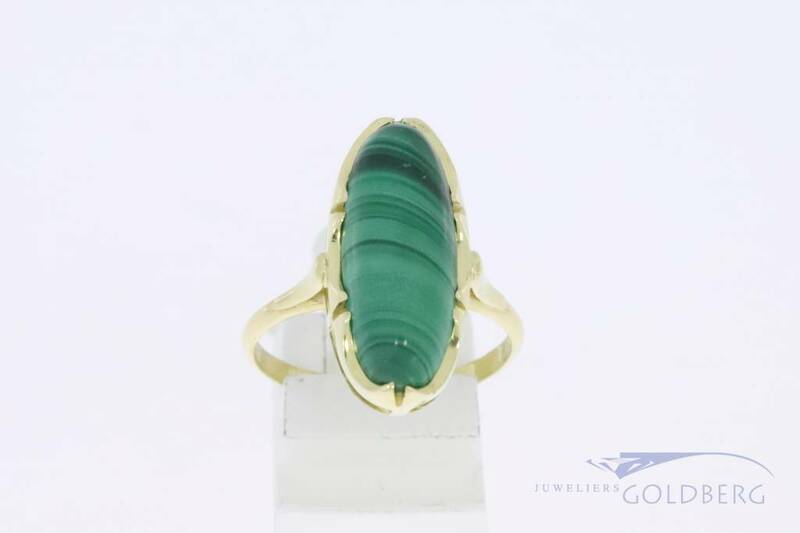 Beautiful 14k gold oval shaped vintage ring with a malachite of approx. 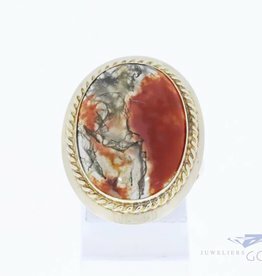 20mm x 8mm. 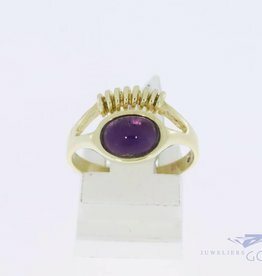 The ring is 22mm long and 10mm wide at the top. 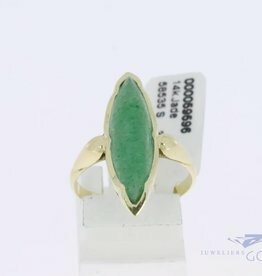 The ring size is 18.5 (58), but can be custom sized per special request. 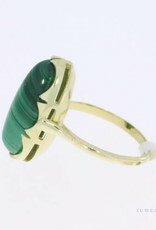 A timeless design in mint condition.